Glutathione Sulfhydryl (also called GSH) is the most prevalent antioxidant produced by the human body. It is a critical component in detoxification and helps to recycle other antioxidants. So instead of asking what is glutathione, maybe the right question is what isn’t glutathione. What Is Glutathione’s Relationship to Cellular Health? Glutathione is so important to the health of every cell in the body that cells die when glutathione levels inside cells drop too low. It is at this very cellular level where most of the battles against toxins, pathogens, free-radicals, and aging are won or lost. Even without the extra toxic demands exerted by 21st century living, the requirement for glutathione production is high. Immune system cells — like mast cells and white blood cells — and organ tissues — most notably the brain, heart, lungs, liver, and eyes — depend on glutathione for survival. Healthy, unchallenged cells can produce a sufficient amount of glutathione for a host of protective and metabolic functions. When additional pressures ensue — like emotional and physical stress, radiation, infection, an unhealthy diet, toxins, heavy metals, and the invasion of pathogens — cellular levels of GSH can be quickly depleted. As long as sufficient quantities of it are present, GSH effectively defends the cell’s DNA, membranes, nucleus, and other organelles by neutralizing this continuous oxidative stress. When GSH is depleted, however, cellular damage can be expected. What Is Glutathione on a Molecular Level? What Is Glutathione’s Role in Electron Flow? The amazing power of glutathione, in large part, lies in its ability to promote a healthy flow and supply of electrons within each cell in the body. Even though it is not possible to take a teaspoon of electrons, one can ingest nutrients that are extremely rich in their electron content. That’s what makes them antioxidants. An oxidant, or pro-oxidant, is any substance that seeks to take electrons away from another substance. These substances are also known as free radicals and reactive oxygen species (ROS). While you hear a lot about ingesting these substances through foods and environmental contaminants, they are also produced by our natural metabolic processes. As a byproduct of the latter, these oxidants are produced in small amounts that can be immediately neutralized by our bodies’ antioxidant supplies. Glutathione, and other antioxidants, are able to do this by donating electrons to the oxidants before they can take electrons from cells, thus preventing oxidation. When an antioxidant donates its electrons, it loses its ability as an antioxidant and can become an oxidant as well since it is now in need of electrons. Glutathione is known as “The Master Antioxidant” because of its ability to recharge other antioxidants with a steady flow of electrons. What Is Glutathione Found In? In it’s complete form, glutathione is found in few foods. It’s make of three amino acids — cysteine, glutamine, and glycine — so many people choose to boost glutathione production by ensuring their bodies have the necessary ingredients. Because of this composition, many oral supplement forms don’t make it through the digestive system. 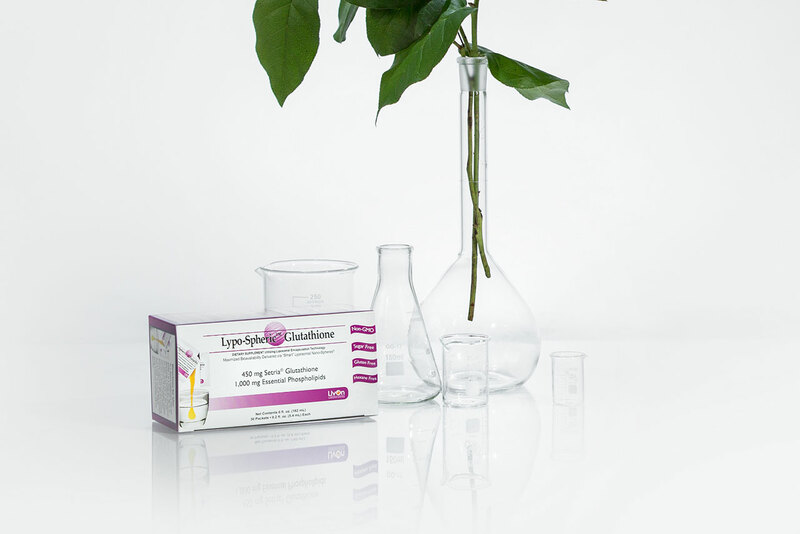 That’s where the patented Lypo-Spheric™ liposomal encapsulation system comes in, as the liposomes protect the glutathione molecules from destruction by digestive enzymes. A study published in the European Journal of Nutrition revealed that daily supplementation of Setria® Glutathione – the form of L-Glutathione used in Lypo-Spheric™ Glutathione – is effective at increasing body stores of Glutathione by 30-35% over a 6 month period.